There are some bands that you just know with absolute certainty what you’re going to get from them every time. Even following any sort of change or reshuffle, if their signature sound has served them well in the past, you can bet your bottom dollar that they’ll carry on. In other words, to the one Less Than Jake who feared that a move to Pure Noise would see them adopt the harder pop-punk sound the label favours, fret not – Sound The Alarm is Less Than Jake continuing the legacy of that name in the same fashion as everything that’s come before. And that’s all that needs to be said, really. It’s pretty fortunate that Sound The Alarm is an EP, because there isn’t a lot to say about it. It’s the semi-annual Less Than Jake release that isn’t exactly a regression, but rather a band in the natural downswing of their career. And that’s to be expected – these seven tracks are perfectly fine, but placed next to the band in their late ’90s prime, back when ska-punk wasn’t the most uncool thing imaginable, Sound The Alarm smacks of a band resting on their laurels, but in a way that comes with wringing out every last drop of potential from an extremely limited style. And to be fair, that does come with some high points. Roger Lima and Chris DeMakes still have a very clear, almost cartoonish vocal style that avoids sounding dated, and when the horns drop back as an accompaniment on Call To Arms and Good Sign, it makes for a solid shift into pop-punk that they still pull off pretty well. That’s really all that’s worth noting about this EP though – the rest sees Less Than Jake refusing to move from their set path while occasionally drawing from themselves a tad too liberally (Welcome To My Life mostly feels like a retread of The Science Of Selling Yourself Short both in instrumentation and lyrics. Still, this is fine enough. Less Than Jake still have energy and perennial youthfulness on their side, and while it doesn’t pay off as handsomely as it once did, it still works to a certain degree. And while this is the epitome of a band treading water twenty-five years into their career, it’s hardly an offensive effort and, for all intents and purposes, is pretty easy to ignore. For everyone except the most ardent of Less Than Jake fans, that’ll probably be the outcome. 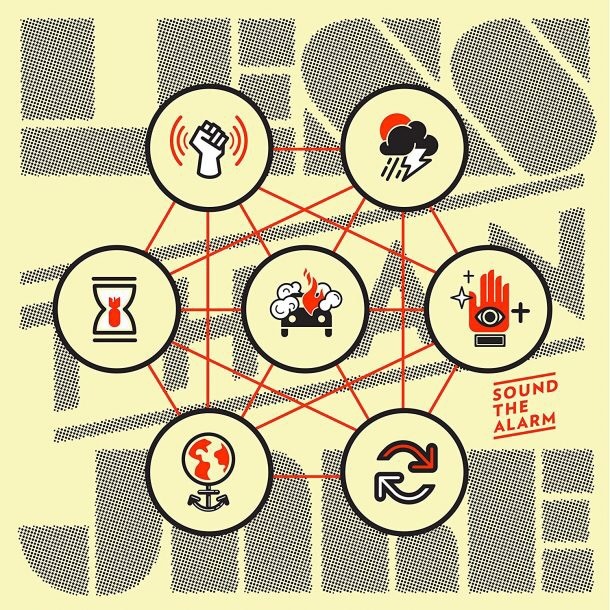 ‘Sound The Alarm’ by Less Than Jake is out now on Pure Noise Records.